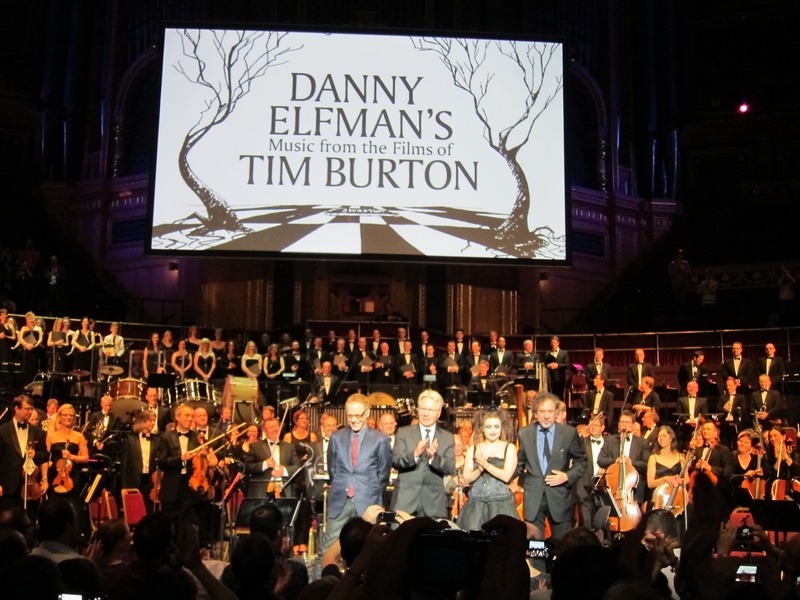 On October 7th 2013 the Royal Albert Hall in London was the venue for the world premiere of a concert series dedicated to Danny Elfman’s music for Tim Burton’s films. Elfman himself entered the stage to perform songs for the first time in 18 years (last time was the farewell concert with Oingo Boingo in 1995). IFMCA members Bregt de Lange, Thomas Glorieux and Thor Joachim Haga were present to celebrate the historic event. 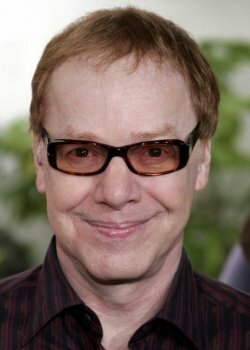 The concert series has been planned for some time (produced by Elfman’s agent Richard Kraft) and is set to go on a mini-tour of the UK and the USA. After London and Royal Albert Hall was Leeds, Birmingham and Glasgow. Later, it will appear in selected American cities. But this was the world premiere, and both the tension and expectations were high. 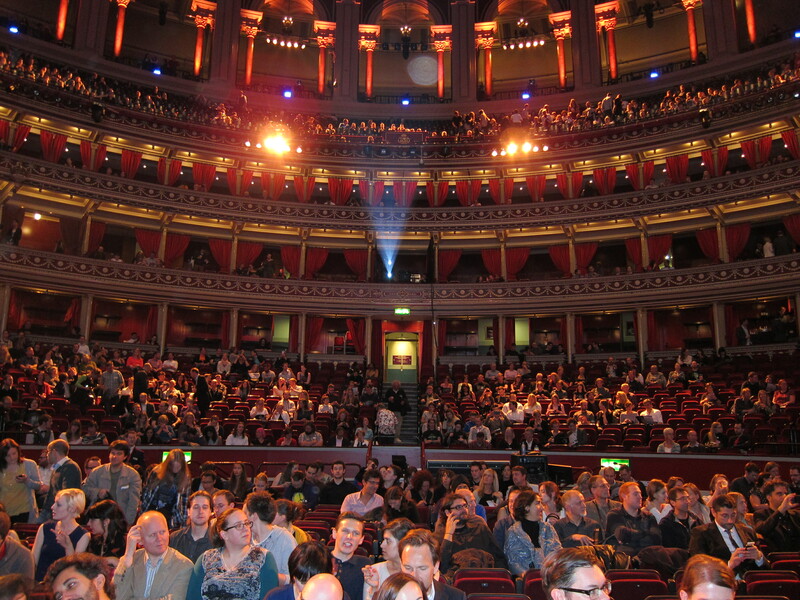 Conductor John Mauceri led the BBC Concert Orchestra, accompanied by the 44-member Maida Vale Singers and various soloists. Music from all of Burton’s feature films was showcased. The theme from Charlie and the Chocolate Factory (2005) worked as an overture before Pee Wee’s Big Adventure (1984), Beetlejuice (1988), Sleepy Hollow (1999), Mars Attacks (1997) — featuring a live theremin performance by Lydia Kavina, Big Fish (2003) and a long suite from Batman (1989) and Batman Returns (1992) aided by full orchestral and choral forces in addition to Royal Albert Hall’s own church organ. After the break, we were treated to the percussive Planet of the Apes (2001), The Corpse Bride (2005) — including a full choral version of “Wedding Song” and an extended version of “Victor’s Piano Solo”, Dark Shadows (2012), Frankenweenie (2013) and the glorious magic of Edward Scissorhands (1990). 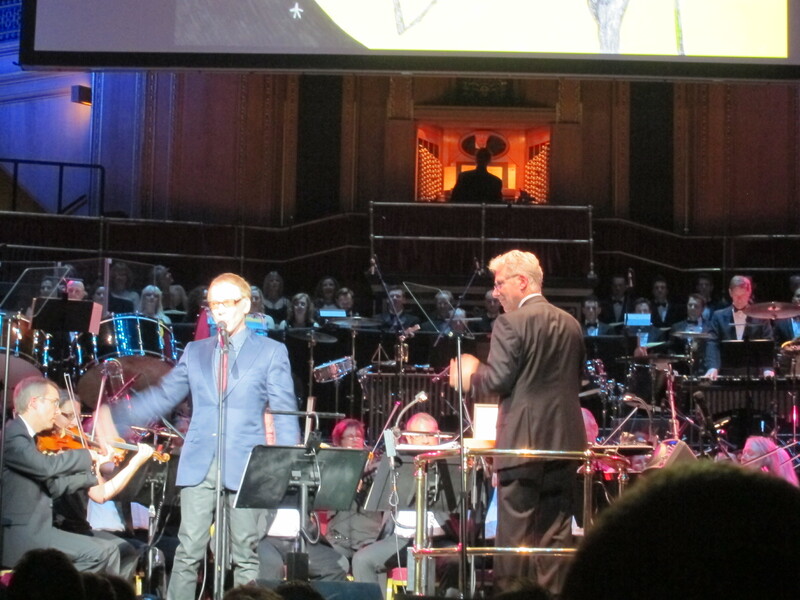 The concert ended with the semi-minimalistic “Alice” theme from Alice in Wonderland (2010), but the real highlight of the evening preceded that — a selection of songs from The Nightmare Before Christmas (1993) performed by Elfman himself. The composer seemed a bit nervous at first, swallowing between verses and avoiding eye contact, but eventually found himself comfortable enough on stage to showcase his trademark mannerisms, grins and gestures in songs such as “Poor Jack”, “Jack’s Lament”, “Jack’s Obsession” and the “Oogie Boogie Song”. For the latter, Elfman himself took the part of Ken Page from the original while conductor Mauceri donned a Santa hat to recite the Sandy Claws lines. As an extra surprise, Helena Bonham-Carter strode on to the stage in a raggedy, Burton-esque dress to perform “Sally’s Song” with almost flawless delivery. At this point, most of the enthusiastic audience erupted in rock-style cheering. Finally, Tim Burton himself entered the stage for the ovations. Except for Johnny Depp, they were all there. 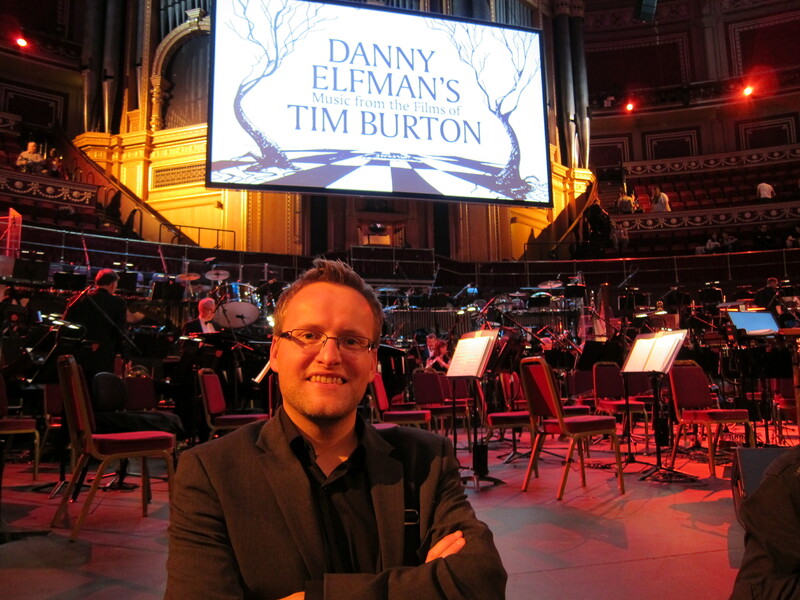 Surely, one of the most awesome film music concerts in recent years, and one can only hope it inspired Elfman to do more concerts of this kind, perhaps also with non-Burton material.